Concerned about a professional working with children? 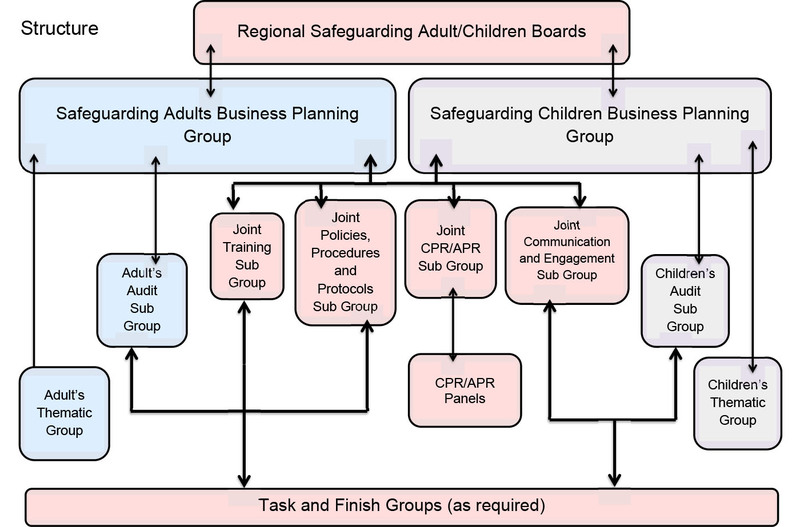 The Business Planning Group is key to the overall effectiveness of the Safeguarding Board in terms of delivering its objectives. The group will ensure that the priorities of the Board and the work of the Sub Groups are taken forward. The aim of the group is to improve outcomes for children across Cardiff and the Vale of Glamorgan, by monitoring the effectiveness of the coordination between agencies in delivering their safeguarding responsibilities by implementing a multi-agency audit mechanism. The group will work on behalf of the Safeguarding Board to ensure the availability and delivery of high quality training on safeguarding adult and children issues to statutory, voluntary and independent agencies. The group will contribute towards developing and reviewing policies and procedures in order to co-ordinate what is done by the partners and members of the Board, for the purposes of protecting adults and children and preventing abuse, neglect and other forms of harm to adults and children within the area of the Board. The group will also ensure that national policies and procedures are monitored and remain fit for purpose. To implement the statutory requirements laid down in the Social Services and Wellbeing (Wales) Act 2014, by considering if cases referred meet the criteria for an Adult/Child Practice Review. The group will also monitor any action plans arising from practice reviews and ensure they are progressed. Learning arising from reviews will be disseminated. To ensure that the links between the Regional Safeguarding Boards and the community are strengthened. This will include awareness raising and co-ordination of public engagement activity in consulting with children, adults at risk, their carers and professionals on matters relating to safeguarding.